Online ordering is so huge that many retailers are struggling when it comes to Internet giants like Amazon. Amazon was huge for books, but now they’re entering so many different areas of e-commerce. Restaurant owners can take a cue from Amazon and other successful online retailers in that online ordering is no longer just a passing fad that will fade over time, but a trend that’s sure to stick around. If you’ve been thinking of implementing online ordering, but haven’t yet because you don’t think you’re ready to pull the trigger, these advantages of online ordering will help move you off the fence. Many people today just don’t want to deal with having to call a phone number and be connected with a stranger. It’s just one of those things that can be a real hard thing for some people to do, especially someone that’s been talking on the phone all day at work. 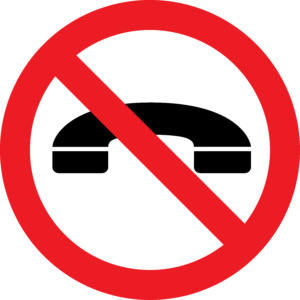 They don’t want to be put on hold or get a busy signal either. They just want to be able to get their order in quick and efficiently so they can relax while waiting for their food. The internet has created the perfect way for people to be able to handle most things in life without picking up a phone and dialing a number. Implementing online ordering not only has advantages for your customers that don’t want to have to make a phone call, but it also helps out your staff. They don’t want to take order after order over the phone when they have other tasks they need to be taking care of while working. They don’t have to try to handle phone calls while doing everything else that’s necessary. They may still have to take a call here or there from those that aren’t comfortable with technology and online ordering, but it won’t be as often as before. One of the biggest problems you may have with your phone orders is things being misheard or missaid over the phone. This ends up with problems in a food order which can turn into a very unhappy diner. There’s nothing worse than having your thoughts set on a particular thing in your food order and really have a taste for it, but then finding out that something went wrong during the ordering process and what you really wanted is not as you wanted it. This leads to having to make amends with coupons, discounts, or other remedies to repair the problem for the customer and make them happy enough to come back again. Avoiding this is good for everyone involved. Research has found that people that make an order online are more likely to order more than they would’ve ordered if calling in their order. This comes from the fact that they don’t feel as though they have to rush in getting their order into the person on the other end of the phone, and because they can see your full menu during their online order. They can see their shopping cart, and decide that they want to try something new from the menu thanks to the pictures. Online ordering will help you to reach more customers. 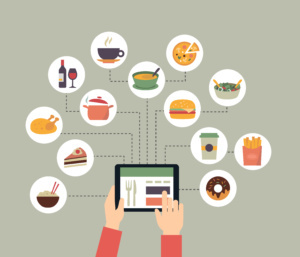 Local individuals may be searching online for a new restaurant to try, and seeing that you offer online ordering may make them more likely to order from your restaurant. This puts your restaurant in front of them as a good option for their food order. Plus, it gives them a good opportunity to see your menu, get a feel for what you offer, and know your prices all without having to pick up the phone. This may help you with marketing your restaurant without having to add to your marketing budget. If your competition is using online ordering, and you’re not, you may be losing out on quite a few customers to them. People love the convenience that online ordering offers, and if they just want to use the internet to order food at the end of a long day, they may skip ordering from you to go with the competitor that offers it. Offering online ordering will make you more attractive compared to restaurants that aren’t offering it yet, as you give them more options. Your online ordering system is all about the advantages it offers with very few if any, drawbacks. Getting started with online ordering may take some time and money to get it up and running, but once you’ve gotten it going, you’ll start reaping the benefits. You may be worried about getting started and that you won’t be able to figure it out yourself, but the good news is that you can rely on the experts to help with this process. You have the restaurant expertise, and we have the online ordering expertise. Contact Orders2.me for any questions you may have and let’s get started.